Here are some of the real estate websites created by Redplug Internet Services. Website goal = Generate response. 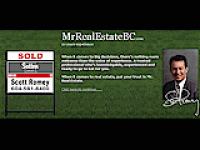 MrRealEstateBC.com grabs visitors' attention with a bold splash page, then leads them to respond with Redplug-provided response pages such as the "Home Finder" and the "Home Evaluation Request". It also features the realtor's own reports and information booklets designed to generate qualified leads. A bold splash page communicates instantly. 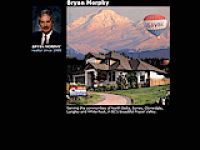 BMorphy.com greets users with a bold page featuring the realtor's sold sign on the front lawn of a beautiful home, framed by Mt. Baker. In a split second, the image conveys the concepts of top-notch service (to sellers) and luxury living (to buyers) as well as the geographic area this realtor works in. Up-to-date website with zero-maintenance required. KenCowie.com's listings are refreshed instantly and automatically whenever they're updated in the official MLS database. This "no-maintenance-required" approach to listings management is accomplished by framing the realtor's MLS.ca listings page on the right and the KenCowie.com main menu on the left. Kencowie.com also features Redplug-provided resources and syndicated content from the local real estate board, all updated automatically, with no intervention required. 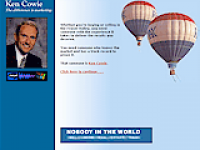 Contact page leads to more leads. JDHaynes.com includes a Redplug-provided contact form that makes it easy for visitors to respond by email. This form can be pre-filled with appropriate values for the to email address, the subject line and even the message body, depending on the situation. The form alerts users whenever it detects an error such as an invalid email address. These usability features improve customer response, resulting in more qualified leads. Easy to use listings system sets the standard for real estate office websites. 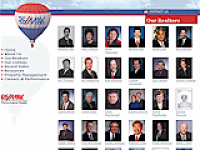 REMAX-Performance-BC.com features more than 500 active or recently sold listings in a searchable, easy-to-use format that sets the standard for online listings presentation. Listings are searchable by community, property type, price, age, bedrooms, status, mls number, keyword, realtor name or by a clickable community map. It also features detailed photo profiles of the 50+ realtors working out of this office.